U.S. Pat. No. 5,616,089: Method of putting. 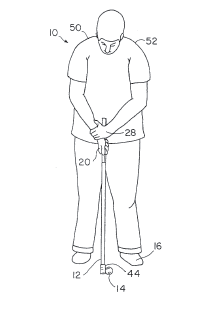 pressing the palm of the non-dominant hand against a forward surface of the putter grip as the non-dominant hand squeezes the dominant hand. « New “Ribbon Copy” Style for U.S. Letters Patent.